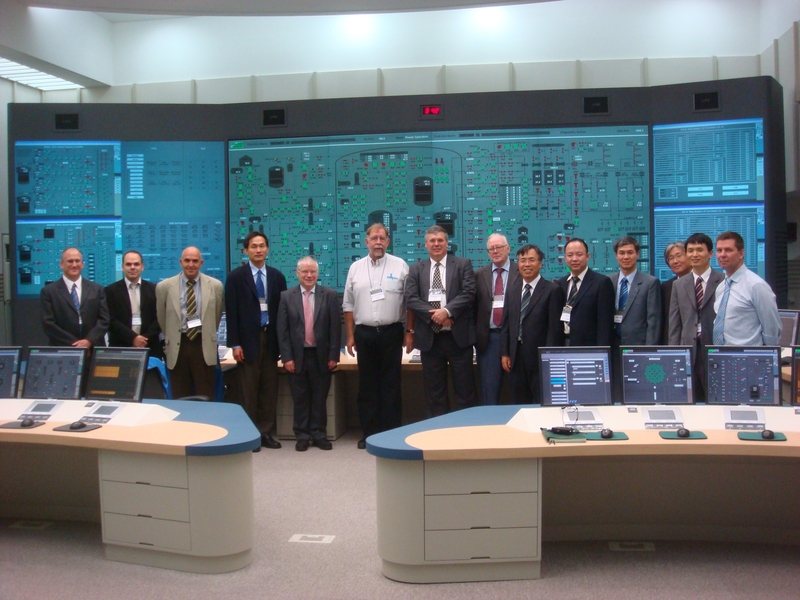 NRC I&C technical reviewers visit a digital I&C control room simulator for APR-1400 in Daejun, Korea. Among the many interesting and challenging jobs at the NRC is that of an Instrumentation and Controls (I&C) engineer. I&C systems are important because they monitor all aspects of the plant, make adjustments to the plant’s protection and control systems as needed, and help respond to plant events. Currently, there are around 15 I&C engineers in the Office of New Reactors (NRO), where I work. We perform a wide variety of tasks, ranging from the technical review of a new reactor design’s I&C systems to conducting research, in coordination with other offices in the NRC, on the latest technology and relevant processes. While people may assume that I&C engineers only work on projects related to the design and implementation of I&C systems, this is not the case. Our engineering principles and knowledge also help ensure that NRC regulations in a variety of areas have been adequately addressed by applicants and licensees as they build and operate new nuclear power plants. New nuclear power plants use a multitude of digital devices that are usually part of the plant’s safety systems. This extensive use of advanced digital technology requires that we conduct careful reviews. Such reviews are especially critical when you consider that I&C equipment and design practices for new reactor designs are significantly different from those for current operating reactors. The agency’s I&C engineers are committed to effectively and efficiently reviewing the digital technology in I&C designs for both operating and new reactors. Today’s new reactor designs depend on digital systems more than ever. Ultimately, our goal in all I&C reviews is to ensure that these systems are built adequately and that the designs fully meet the NRC’s regulations. Thank you for your reply. I am encouraged. How does one become a qualified applicant? The NRC will entertain the review of I&C architectures proposed by any licensee or qualified applicant; not just those designed by NSSS vendors. Apparently we missed your question. Thanks for the reminder that we need to provide you with answer. We’ll post one shortly. Two years and no response. Must be really busy. Is your responsibility to only review RPS/ESFAS designed by the NSSS vendor? Or do you entertain other platforms and architectures developed by qualified I&C vendors and consultants?